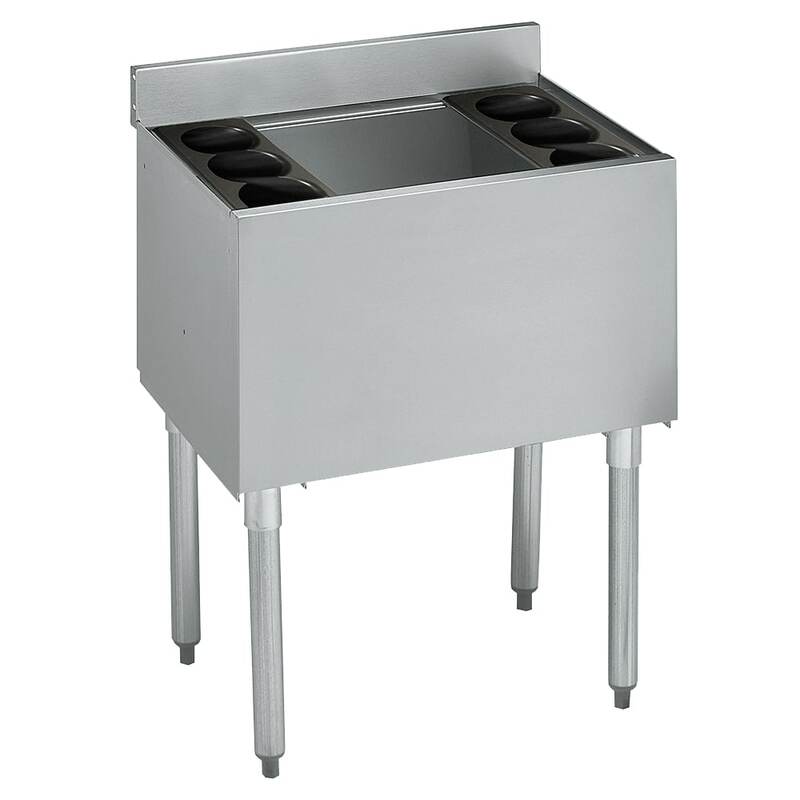 The Krowne 18-24 underbar ice bin is designed to be used as a cocktail unit or jockey bin. The fully-insulated ice bin has a total capacity for 80 pounds of ice and a one-inch male-threaded drain This Krowne 1800 series ice bin comes standard with three bottle wells on each side, for a total of six bottle wells that are conveniently removable. The Krowne 18-24 ice bin is a floor model with 15⁄8-inch tubular legs that provide a working height of 30 inches, and the 4-inch backsplash brings the unit's total height to 34 inches. This model is constructed with a 22-gauge stainless steel backsplash and front apron, a 20-gauge stainless steel interior, and a 20-gauge galvanized steel back and bottom. Because this ice bin does not include a cold plate, plumbing requires a one-inch IPS drain connection.